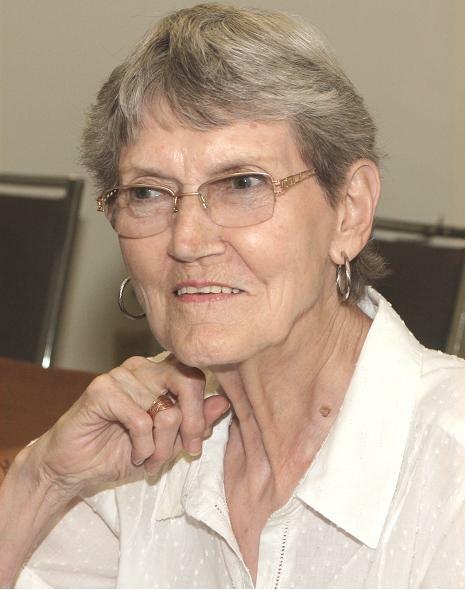 Wanda Thompson, late of Weyburn, SK passed away peacefully on November 21, 2018 at the age of 83 years. Wanda was predeceased by her parents Jack and Mae and brother Wayne Thompson. Wanda is survived by her sister Colleen (Art) Enns Regina, SK; sister-in-law Naidene Thompson, Indian Head, SK; nieces: Kim (Eric) Bjornsson and family, Virden, MB, Shauna (Tim) Archer and family, Regina, SK; nephew: Brett (Jennie) Enns and family, Birch Hills, SK; as well as many cousins and friends. Wanda was born on February 13, 1935 in Amulet, SK. After high school, Wanda worked in Regina at Simpson Sears for a few year before travelling to and working in Hamilton, ON for a year. Returning home, Wanda began work in Weyburn at Leydon's Optometry office in 1957 and enjoyed fitting several generations of families with eyewear. She retired in 2000. Wanda was a leader in Boy Scouts for many years and a member of the Order of the Royal Purple. She was active at Grace United Church in Weyburn and enjoyed bowling, crocheting, and trying new recipes. As an avid reader, she was knowledgeable on most topics ad was always up for shopping or watching a good movie. Wanda was an amazing aunt, sending birthday cards with money long after the kids had graduated. Her small kindness will be greatly missed and we will be forever grateful for her easygoing nature and wonderful laugh. The family thanks Home Care in Weyburn, staff at Tatagwa View Nursing Home in Weyburn and staff at the Fillmore Health Centre for their compassionate care of our sister and aunt in her final days. A Service of Remembrance was held Tuesday, November 27, 2018 at 11:00 a.m. from Grace United Church, Weyburn, SK with Rev. M. Barnabas officiating. Luncheon followed at Upper Grace Hall, Weyburn, SK. A Private Family interment will be held at Amulet Cemetery, Amulet, SK. In lieu of flowers, family and friends so wishing, charitable donations in memory of Wanda may be made to a charity of the donor's choice.